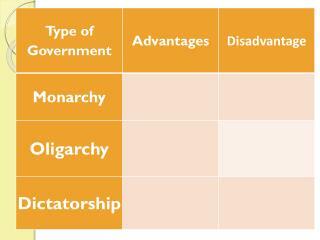 1- Should be managed within a declared vision based on a national strategy. 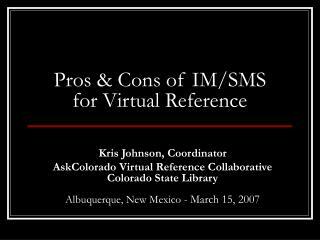 2- The privatization management process should be ready to deal professionally with rational and/or irrational rejection, be it in a good faith or vice-versa. 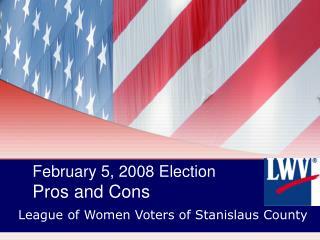 3- In principle it should be preceded by firm commitment from both political leadership and acceptance in principal from labor unions. 4- Should be implemented in a highly transparent manner according to set-up legal rules approved by concerned authorities. 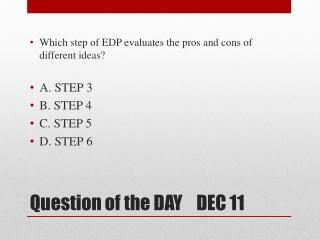 5- Should consider the interests of the labor power in the present and the future. 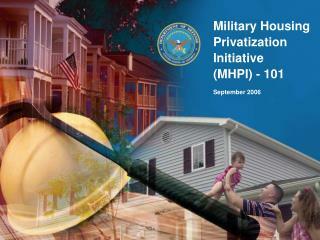 - There is no one approach of privatization fits all. - What are considered rules in a country are only guidelines for other countries. 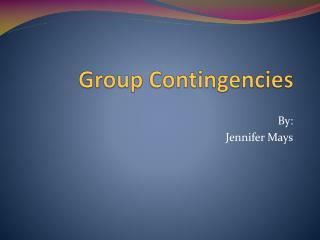 one of the said principals. 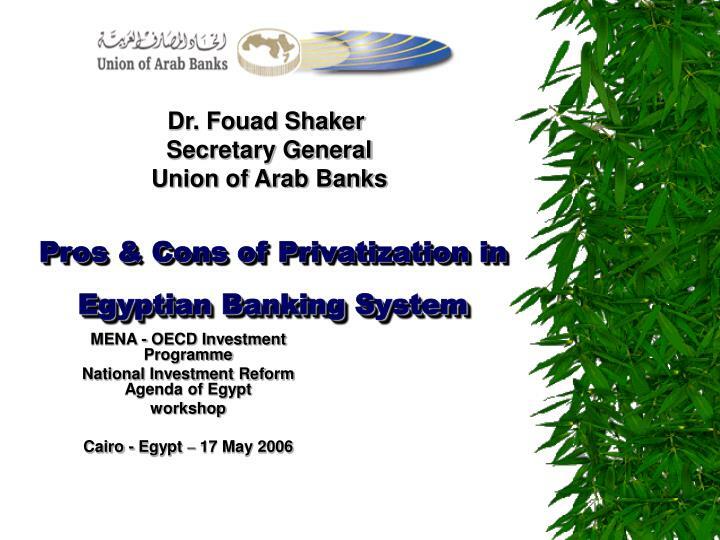 deepening the public perception against foreign investment in the financial system even for the Arab ownership. 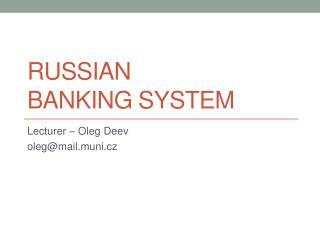 1960	-Nationalization of banks and insurance companies. New role for banks to finance the first national plan 1960-1965 without competition among them and no role for private ownership in financial institution. 1961	-Mass Nationalization across the board for most of the companies in all economic sectors. 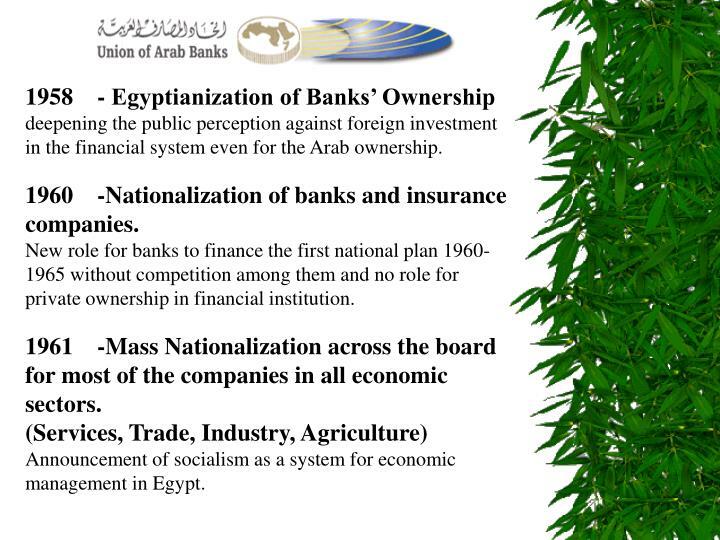 Announcement of socialism as a system for economic management in Egypt. 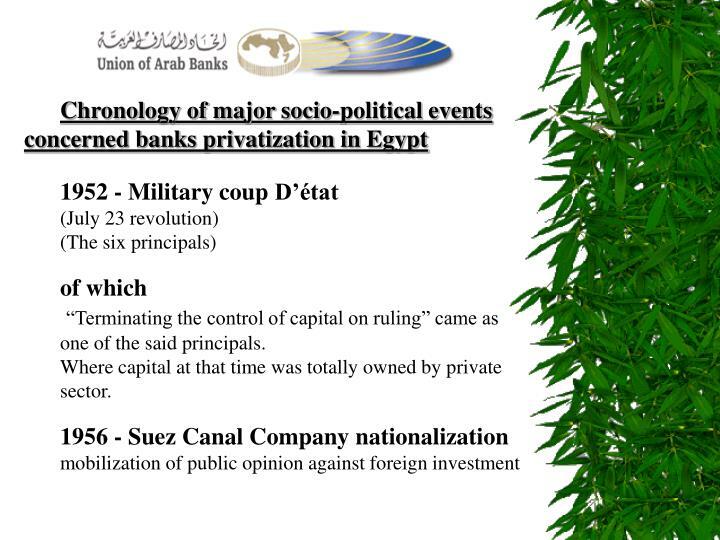 1964 -Merging 32 banks, to have only 5 banks each of them allocated to serve specific companies working in specific activity. 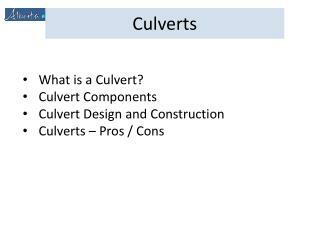 Endeavoring to implement control by the unit of currency like control by the role implemented in the Soviet Union at that time. 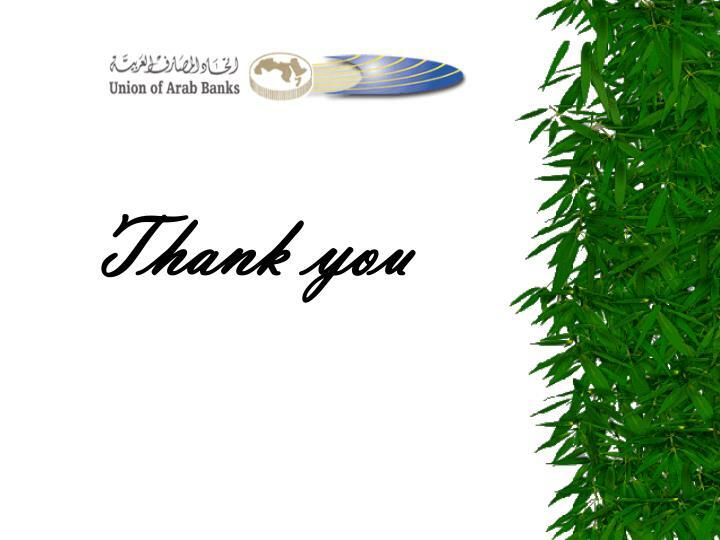 1972 -The establishment of Arab international bank. 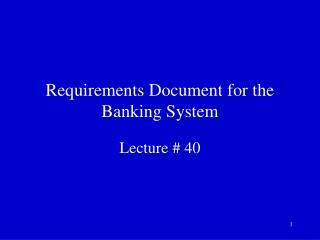 In the form of private off-shore bank exempted from all regulations other banks are subject to. 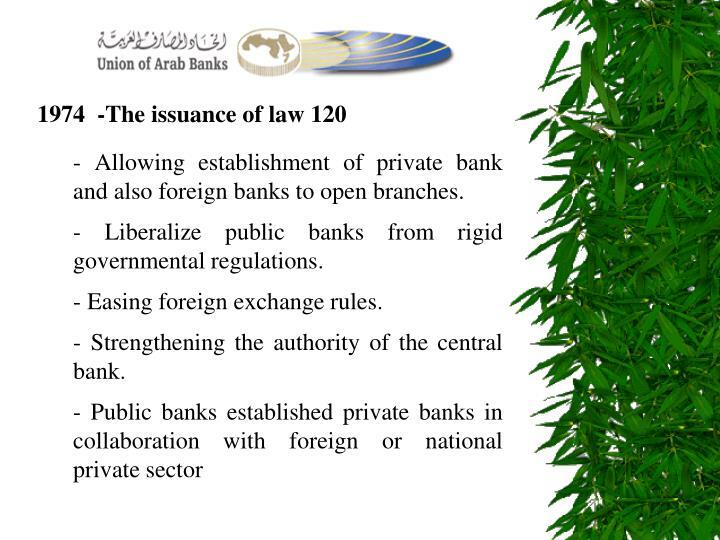 - Allowing establishment of private bank and also foreign banks to open branches. 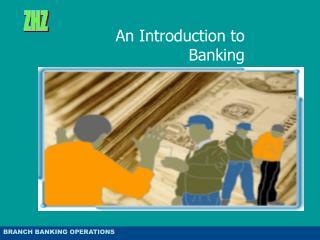 - Liberalize public banks from rigid governmental regulations. 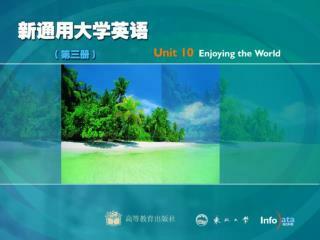 - Easing foreign exchange rules. 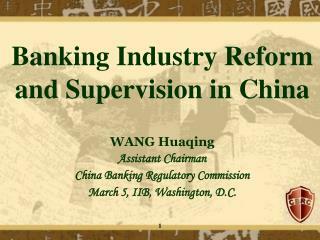 - Strengthening the authority of the central bank. - Allow private sector to work in some sectors in a conditional way. - For the first time in the recent history the country accepted and adopted comprehensive economic program based on realistic givens. 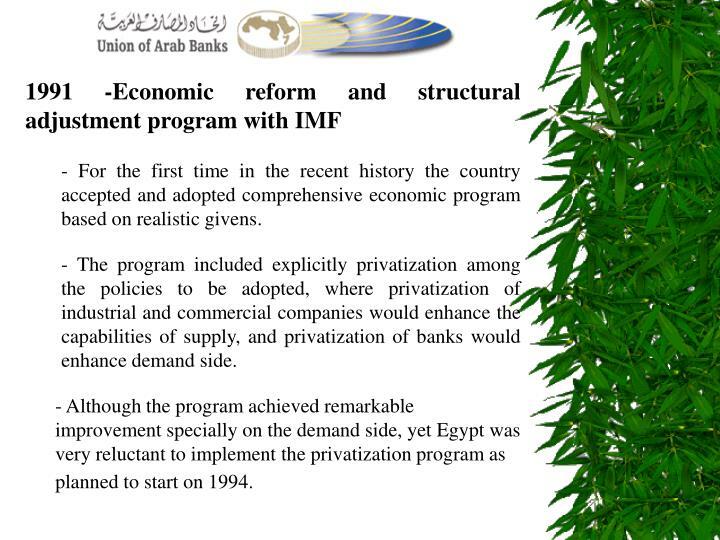 - The program included explicitly privatization among the policies to be adopted, where privatization of industrial and commercial companies would enhance the capabilities of supply, and privatization of banks would enhance demand side. 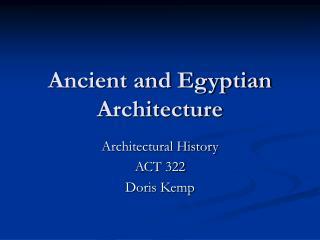 planned to start on 1994. In spite of the commitment of the government to start on aggressive privatization plan including banks specifically one of the public sector banks, the implementation results were disappointing (few companies only). 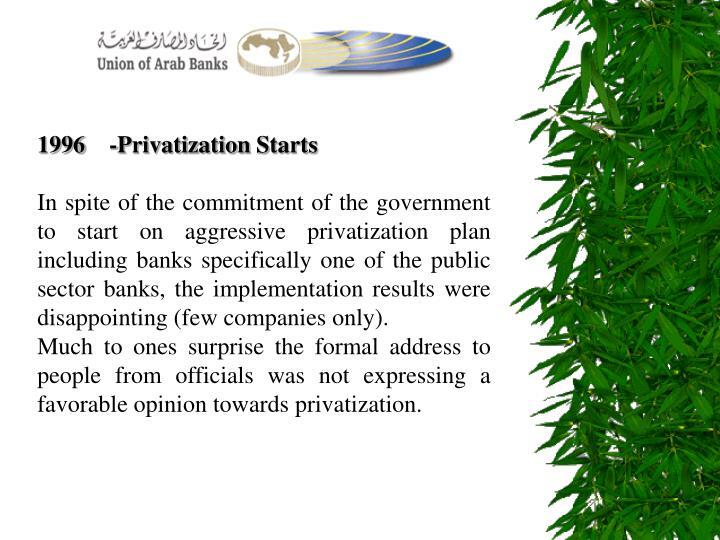 Much to ones surprise the formal address to people from officials was not expressing a favorable opinion towards privatization. 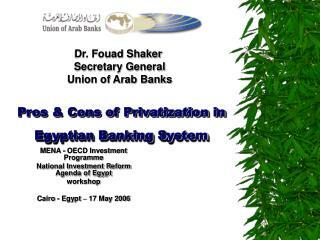 Egyptian government involved in huge public sector project with the least effort of privatization and sometimes denouncing privatization as an economic approach. 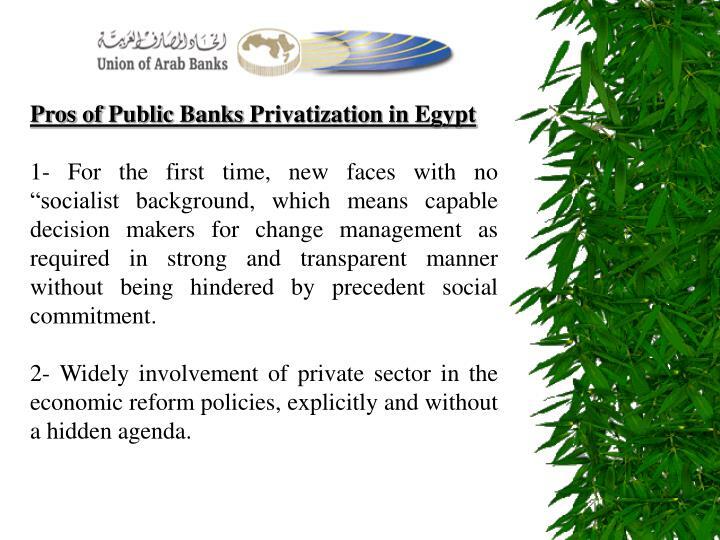 - Serious and effective vision towards privatization. - Banking Reform plan aiming to have a healthy financial system that brings some public sector banks to the point of sale. 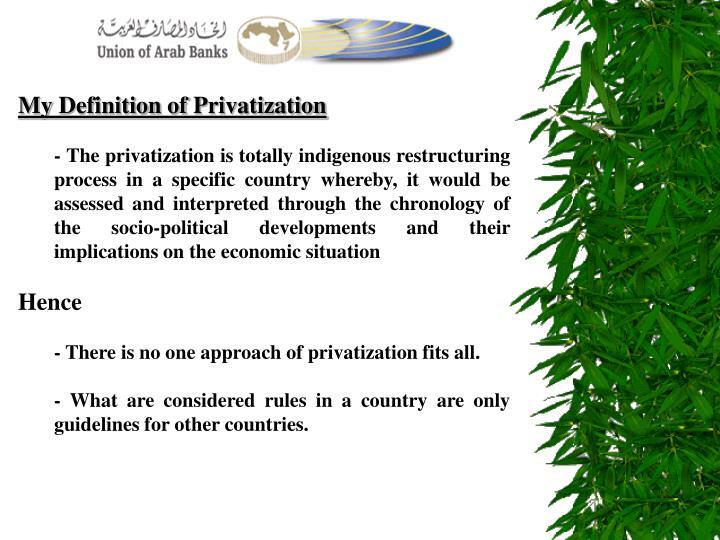 1- Negative cultural perception for privatization among people. 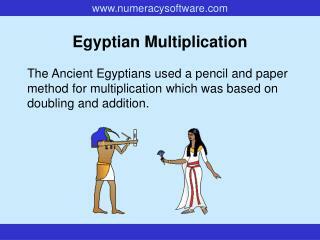 2- Normal resistance from opposition and labor force. 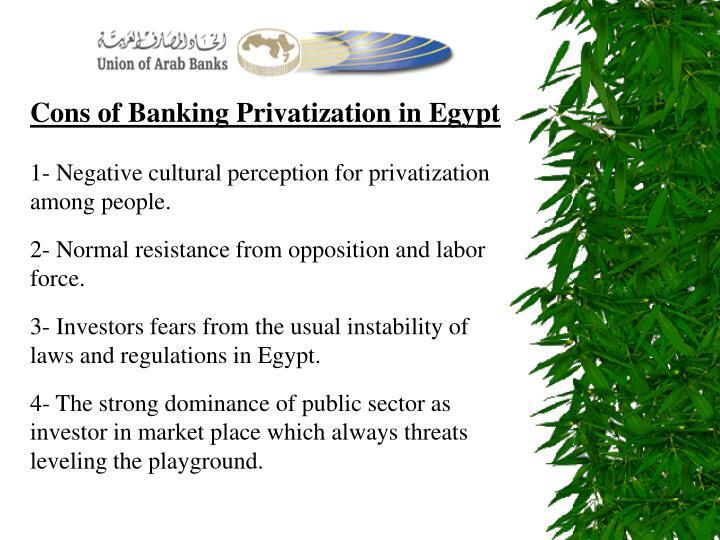 3- Investors fears from the usual instability of laws and regulations in Egypt. 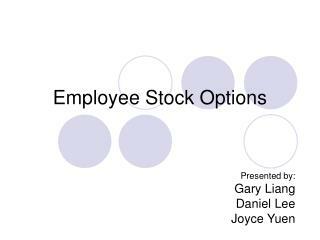 4- The strong dominance of public sector as investor in market place which always threats leveling the playground. 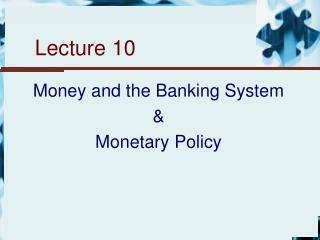 - excess liquidity in banks. 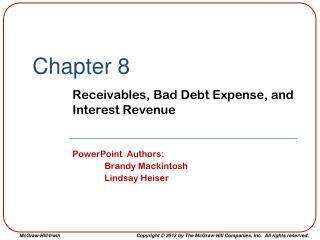 7- The unfavorable jurisdiction system. 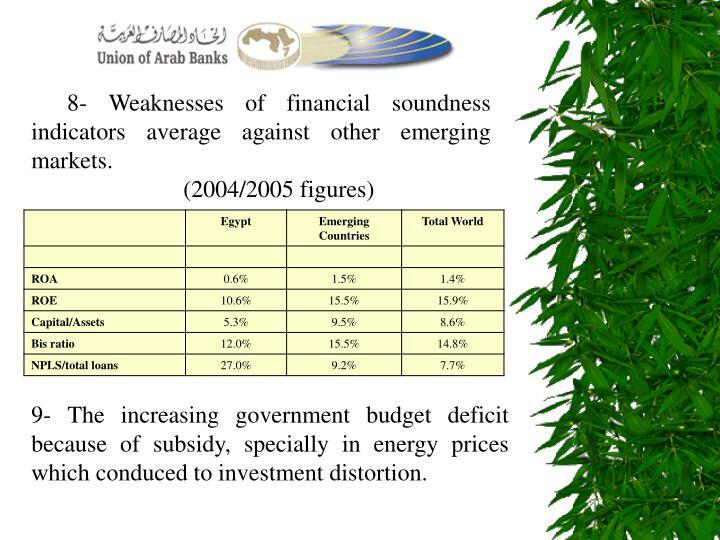 8- Weaknesses of financial soundness indicators average against other emerging markets. 9- The increasing government budget deficit because of subsidy, specially in energy prices which conduced to investment distortion. 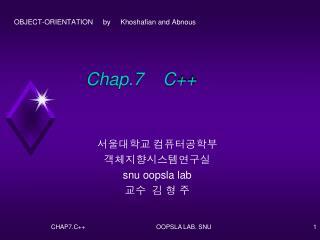 1- For the first time, new faces with no “socialist background, which means capable decision makers for change management as required in strong and transparent manner without being hindered by precedent social commitment. 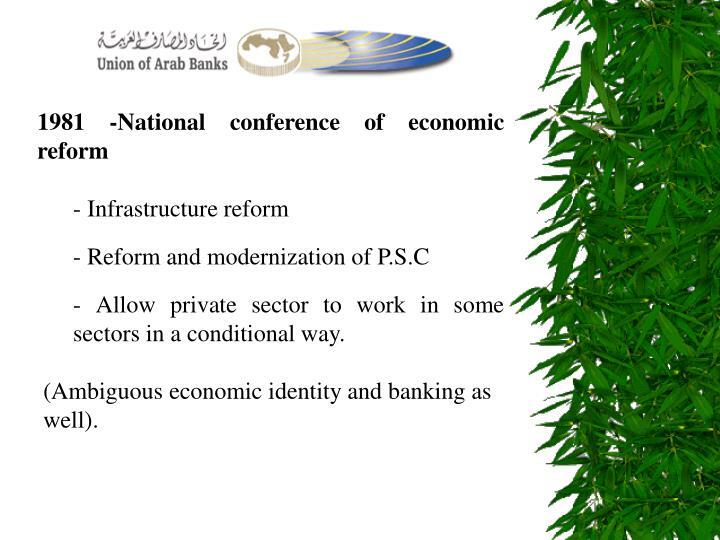 2- Widely involvement of private sector in the economic reform policies, explicitly and without a hidden agenda. 3- Young internationally experienced and well educated decision makers. 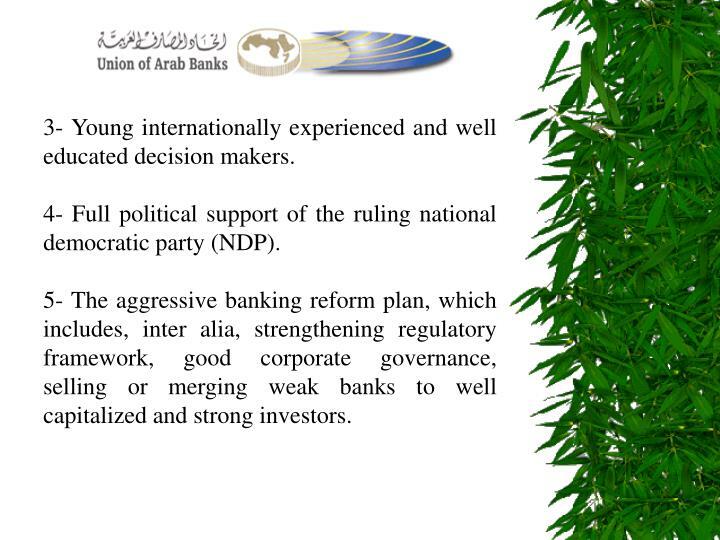 4- Full political support of the ruling national democratic party (NDP). 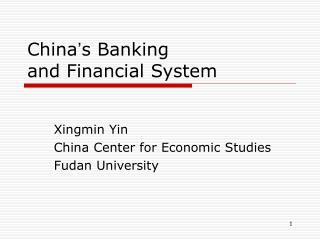 5- The aggressive banking reform plan, which includes, inter alia, strengthening regulatory framework, good corporate governance, selling or merging weak banks to well capitalized and strong investors. 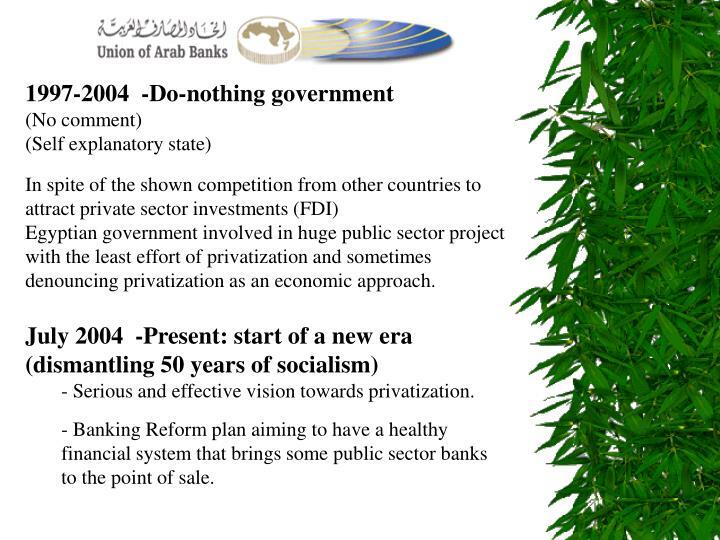 6- The Existence of well prepared privatization program, that is consistent with the overall economic reform program and preserve the rights of all parties. 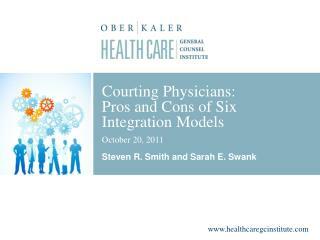 Courting Physicians: Pros and Cons of Six Integration Models October 20, 2011 Steven R. Smith and Sarah E. Swank -Courting physicians: pros and cons of six integration models october 20, 2011 steven r. smith and sarah e. swank. welcome. 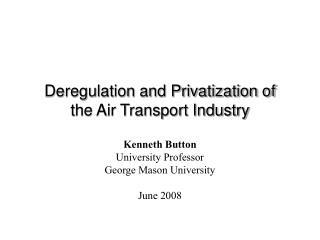 Deregulation and Privatization of the Air Transport Industry -. kenneth button university professor george mason university june 2008. “only the psychologically disturbed or inadequate want transport for its own sake.” denys munby, 1968.